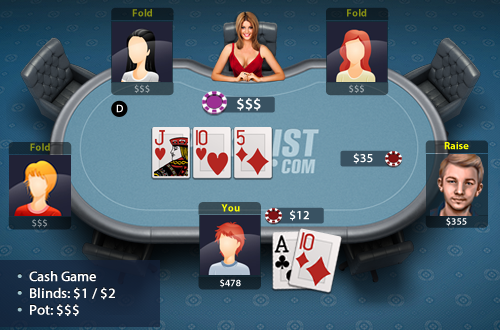 You’re playing a $1/$2 4 handed cash game with $500 at the table. You raise pre-flop UTG to $10 and get called by the big blind, they have $400. You have A10 off suit, the flop is J105 two hearts, the big blind checks and you bet $12, the player check raises to $36.